﻿ Conversion Steps of Products with Appropriate Screenshots. After installation, run the software and perform the conversion process step by step. Click Add File option from the menu bar and select DBX files. A dialogue box will be opened. 1. 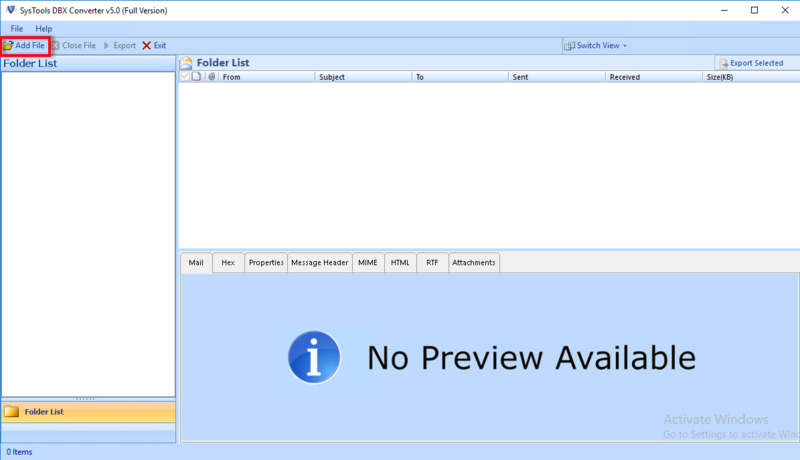 Load From Configured Outlook Express Profile: Automatically detect DBX files with the help of configured Outlook Express profile. 2. Select file(s)/folder from file system: Browse filed manually as per requirement . Select any one option as displayed in screen shot below and then click on Next button. After Selecting the file path click process button. All the DBX files and folders will be listed in left panel screen. Click on DBX files to view the emails. As Scanning of data gets complete, user can take view of data in different way like horizontal or vertical view. 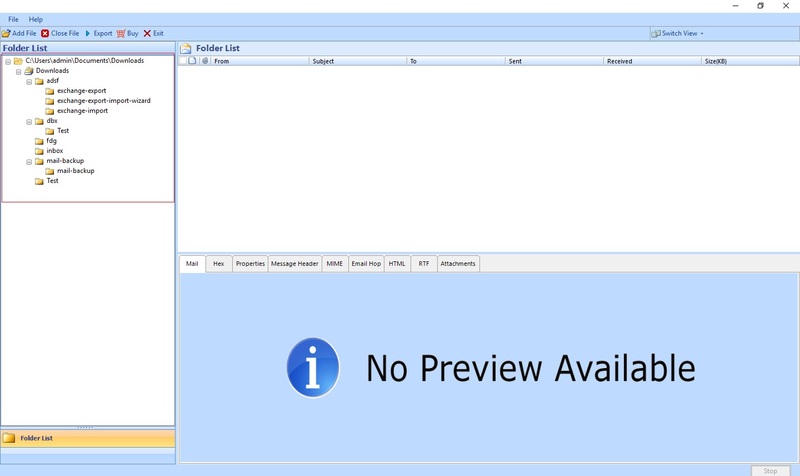 Preview emails in different viewing modes by clicking Mail tab as shown in screen below.various viewing modes can be choosen like Hex view, Properties View etc. 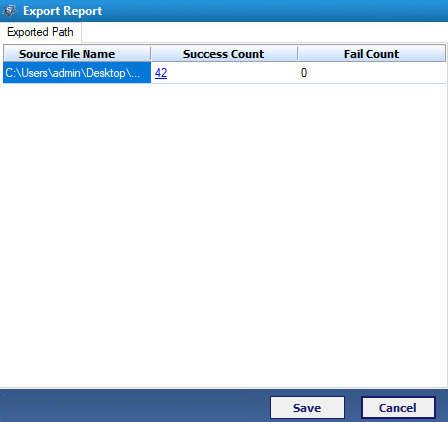 Select DBX files/folders user want to export as per requirement and click Export Button as shown in screen below . User can select any of the option as per requirement . 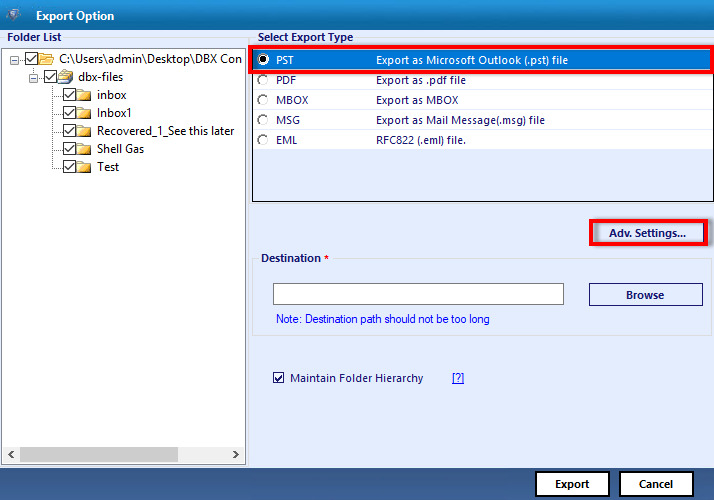 Select the file format to export the file from options available PST,EML,MSG or MBOX. Choose any of the naming convention option to save the EML or MSG files.By default naming convention is subject. 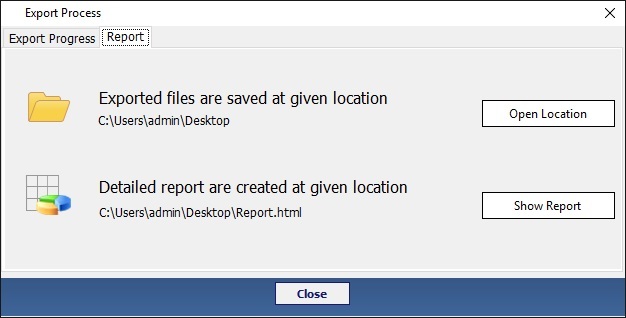 Choose the location to save converted file or make a New Folder to save files and click export button . Export Process finishes then alert message gets displayed. Click Ok.
1. Open Location : To go to location of converted PST file . 2. Show Report : Users can view the report of conversion process . 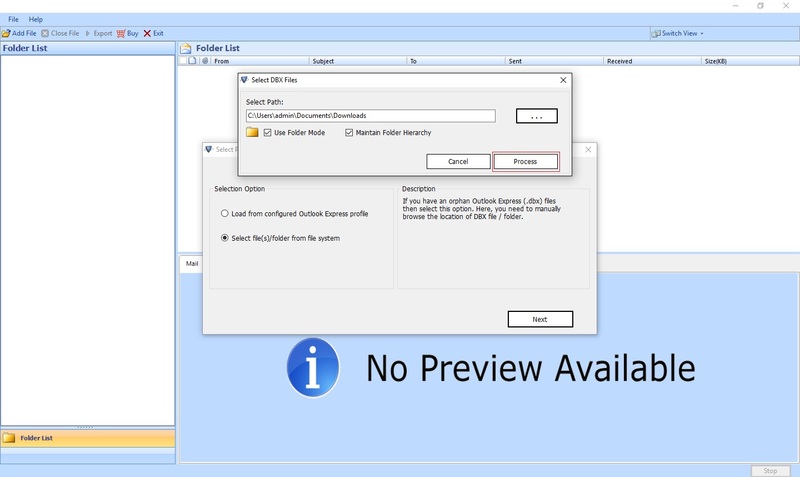 Open the converted file in Outlook . 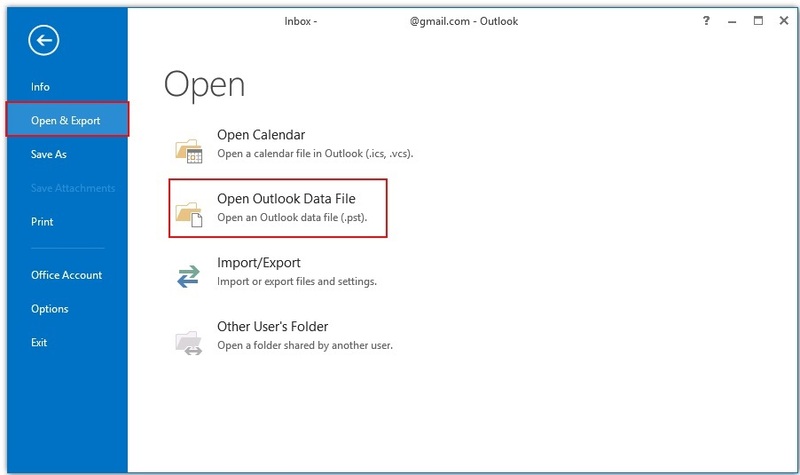 Open Outlook » Click File » Open & Export » Click Open Outlook Data File .Browse the converted Outlook Data File , select it and click to open it in Outlook . View the converted PST file data.